Aristotle once said, "The one exclusive sign of thorough knowledge is the power of teaching." It appears Walter Lewin knows his stuff quite well. 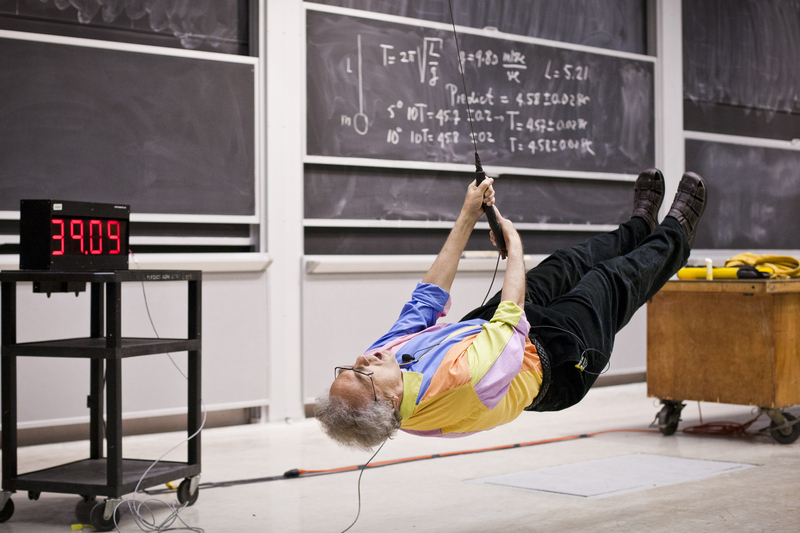 A long-time professor of physics at MIT, his lectures have been watched by millions every year. There have been a few teachers in my life that I could tell are extremely passionate about their work. I can tell by the excitement in their voice and the hope in their eyes for their students to see the same magic and beauty in whatever it is they're teaching, be it math, drama, or literature. For example, Lewin loves rainbows. And fogbows, and showerbows and even glassbows. He's so into them that he would pull over on highways or change his showering schedule just to see them. If you're nostalgic about the stuff you've learned in high school, or slightly embarrassed that you've forgotten most of it, this is a good book to read. Lewin also leads you down the path towards some astrophysics - black holes, neutron stars, space-time, etc. - but it's all done in a very story-telling and digestible manner. I feel like in order to fully grasp his character, I'll need to watch some of his lectures in their entirety. In a way, the book reads like an autobiography filled with anecdotes of the author's favourite topic in the universe: physics.